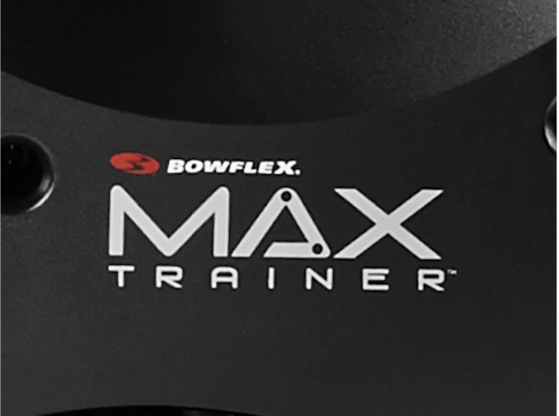 Here are our new and updated 2019 Bowflex Max Trainer Reviews. Bowflex is a household name in at-home fitness. Their products include everything from full machines to free weights, and their product lines range far and wide to suit both the beginner and the expert. 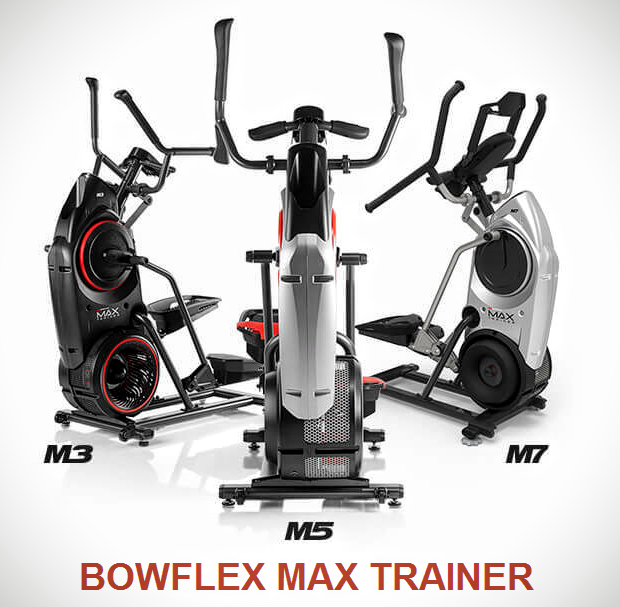 The 2019 Max Trainer series is one of Bowflex’s most popular product lines. The machines look like elliptical machines, but their selling point is that they’re much more effective than using an elliptical – or any other sort of exercise machine, for that matter. The Max Trainer series can burn calories at a rate of 2x – 3x what normal exercise can. There are three offerings in the Bowflex Max Trainer series. The Max M3 is the most basic Max Trainer. The unit offers eight levels of resistance as well as other barebones features. With the M3, you’re basically just buying the unit itself – though there are some perks like one preset workout program, you’re going to be doing most of the configuration manually, contrast this to the M5 below. The Max M5 (outmoded by The Max M6) is the middleground. It has some features, but not every feature. For example, you get a speaker system (which the M3 lacks), but you don’t get a smartphone app (which the M7 has). The M5 also has an extended warranty and a few extra physical perks like a smartphone/tablet dock and more. The Max M7 (outmoded by The Max M8) is as good as it gets. The M7 has everything that the M3 and the M5 has, along with a whole lot more. You get a beautiful backlit display, a personal coach to guide you through your workout programs, 20 levels of resistance, and everything else you can pack into a fitness machine. The M7 lets you tailor your workouts exactly as you’d like to, or, you can use the preset options and the goal programming to let the machine do all of the mental work for you. It’s important to know that the Max Trainer series is not just a fancy name for an elliptical. The machines combine the motion of an elliptical with the intensity of a stair stepper. This combination is how you are able to burn so many calories at once. To understand how it works, we must have a basic grasp of how calories are burned. There are two types of exercise – aerobic and anaerobic. Aerobic is cardiovascular – like if you went for a run. Anaerobic is non-cardiovascular – like if you were lifting weights. You might break a sweat and get out of breath, but you’re not constantly out of breath like you would be if you went for a run. The Max Trainer series combines these two forms of exercise into one. When that happens, you burn the highest number of calories possible in the shortest period of time because you are utilizing both forms of exercise. In fact, it’s impossible to get to this level of calorie-burning if you’re not using a Bowflex – all normal machines and exercises are either anaerobic or aerobic. Only the Max Trainer does both. Bowflex machines look good, and the Max Trainer series is no exception. It’s nearly impossible to get injured on a Max Trainer, even if you have nagging problems like knee pain. Simply put, there is no impact like there is with running. Instead of risking knee, shin, or other leg injuries, you “stay put” while still working all of the muscles. This is a stark contrast to almost any other machine – on the stairmaster or treadmill, you can injure yourself, even if you’re careful. The movements have been tested over and over again to make sure they’re natural, too. What we mean by this: Some exercise units will gradually wear down your joints and ligaments if you use them too frequently or for too long at once. The Max Trainer series does not have this problem because it was thoroughly vetted before being put on the market. The Max Trainer series has more customization than other Bowflex machines have, and infinitely more customization than other elliptical or stair-stepper machines. You have the option to pick a preset program or design your own. When you get to the M7, you can even customize four different user profiles – others can use the Max Trainer without messing up your settings, or, you can pick a different user profile depending on how you’re feeling for the day. No one wants to run on a noisy treadmill, or use an elliptical that squeaks, or use a bike that sounds like an industrial motor is revving up every time you pedal. The Max Trainer series is as close to silent as you can get in an exercise machine. Seriously – it’s barely audible. You will have no trouble hearing music or TV over the soft whirr of the Max Trainer, and you can even use it when someone is sleeping in the room adjacent to you. The name Bowflex sometimes scares people off – they picture big, massive machines that cost many thousands of dollars. So, how much is a Bowflex Max Trainer? The Max Series isn’t like that. The M3, the cheapest model, comes in at under $1,000. Even the most expensive model, the M7, is just over $2,000. And there’s even something in the middle – the M5, at just under $1,600. No matter who you are, what your budget is, or what your current level of fitness is, there will likely be a Max Trainer that suits you well. Buying an exercise machine is usually a huge commitment – but not when it comes to buying a Bowflex. The company offers a no-questions-asked return policy – you can set it up, test the machine you buy for up to six weeks, and send it back for any reason at all if you don’t like it. Though you can’t expect too much for $1,000, we were hoping to see some preset workouts in the Bowflex M3. You get just one (a workout that will help you burn up to 300 calories in 15 minutes), though you can always create your own, and they’re quite easy to configure, even with no prior tech or fitness knowledge. Compare this with the more expensive M5. In a perfect world, the Bowflex M5 and the Bowflex M7 would be just a few hundred dollars more than the M3. Alas, the M5 is close to $600 more, and the M7 is close to $600 more than the M5. This is both good and bad. It’s bad because those aren’t necessarily cheap units, but it’s good because you know you’re not buying a piece of junk. For reference, the Max Trainer series is one of Blowflex’s more affordable offerings – they manufacture the good stuff. On a site note, don’t miss the discounted shipping coupon available for the Max Trainers. The M3 comes with eight levels of resistance, the M5 with 16, and the M7 with 20. We’d like to see a few more resistance levels for the M3 in particular. Eight levels of resistance is a good amount, but not enough for extremely precise resistance adjustments. If you’re someone who likes to workout in a sporadic manner (sometimes fast, sometimes slow), you may want to consider the M5 or M7 for the a higher number of resistance options. Weight loss / fat loss. The main objective of the Max Trainer series is to help you lose weight in the shortest amount of time. You’ll burn calories quickly and shed fat from every part of your body – hips, thighs, love handles – everywhere. Muscle tone. The Max Trainer isn’t good for those looking to get super shredded like a bodybuilder. But, that being said, the Max Trainer will still tone your muscles. That means that once the fat is gone, you’ll look good – and not emaciated or skinny. Muscle tone also helps mitigate loose skin – something some of us are trying to avoid at all costs. Because the Max Trainer works your entire body, you will build this healthy muscle tone everywhere. Cardiovascular health. The health aspect of the Max Trainer series is often passed over because of its extreme weight loss properties. But, because the Max Trainer combines aerobic and anaerobic exercise, it’s actually one of the healthiest ways to exercise, too. It’s like you’re going for a run and lifting heavy weights at once – though of course, using the Max Trainer isn’t as difficult as that sounds. The Max Trainer series commands a very high rating everywhere it’s sold. You’ll find customers praising it, and you’ll find independent review sites like ours praising it, too. Also, don’t forget to check out some of the many available youtube Bowflex Max Trainer reviews. The only complaint you may find is related to shipping, and that problem can be avoided if you buy directly from the Bowflex site (which we would recommend anyways). Customers love it because it just works. You jump onto the foot pads, turn it on, plug in your workout, do your thing, and you’re done. You just performed a full-body workout and burned as many calories as possible. Simple and effective – that’s why the Max Trainer series is so popular. …but if you’re trying to lose weight, nothing will compare to the Max Trainer series. Aerobic and anaerobic exercise combined into one is simply more effective than any other form of exercise is. You will reach your goal weight more quickly and you will look better once you do. That’s the appeal. Get started by checking out our reviews for each of the Max Trainer offerings. We’ve put together comprehensive reviews so you can confirm you are buying the correct Max Trainer for you, and that it has everything you’re looking for. Click below to begin browsing one of my new bowflex max trainer reviews. Or, alternatively, check out each machine on the official Bowflex website. This series of 2019 Bowflex Max Trainer Reviews was brought to you by Steve Frazier at Elliptical Consumers. Bowflex Max Trainer M6 Review Mar. 2019 (NEW) – Optimal Design? Bowflex Black Friday & Cyber Monday Deals: 2018 Edition!